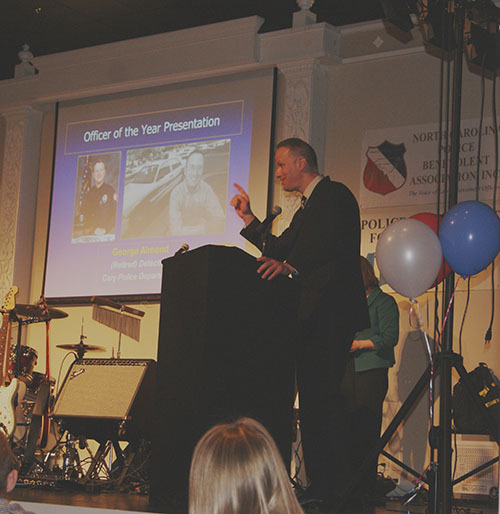 The Police Benevolent Association has long held the reputation for educating the public about the daily work of law enforcement officers and the sacrifices they make to keep their communities safe. These education efforts have led to partnerships with the community that have benefited members of the PBA and the law enforcement profession. The PBA also has an extensive history of creating solid and sustainable relationships with elected officials to effect positive change for our members. 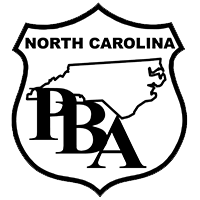 The PBA continues to take this process of education, partnerships, and relationship-building to a new level. 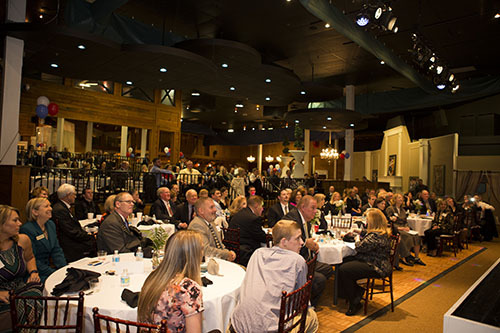 Every year, the George Almond Officer of the Year Banquet brings together elected officials, officers, and the community to showcase the talents of police officers and honor the legacy of retired Detective George Almond. The Cary Chapter Board, in its first year, chose to sponsor the Officer of the Year award in honor of retired Detective George Almond. Almond, a PBA member, was shot in the line of duty in October 2001. 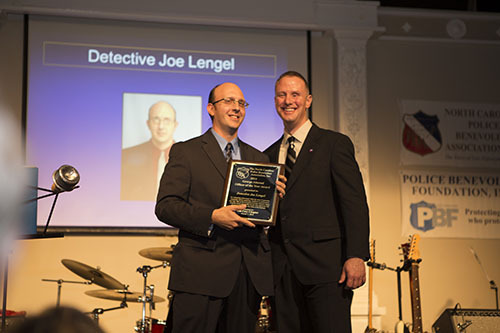 He survived the shooting and returned to duty as a detective in juvenile investigations before retiring, in August 2004. The award recognizes outstanding achievement in the areas of leadership, community service, mentoring, excellence in performance, and valor. For the 10th annual award, the Wake County Chapter and the Raleigh Chapter are included to represent the achievements of officers throughout Wake County. In order to make this fundraiser a success, we are asking citizens and businesses, to become a banquet host, sponsor, platinum level sponsor or to donate items for the live auction portion of the evening. All sponsor levels and donations are tax deductible through the Police Benevolent Foundation. Click here for sponsorship letter with tax ID number. 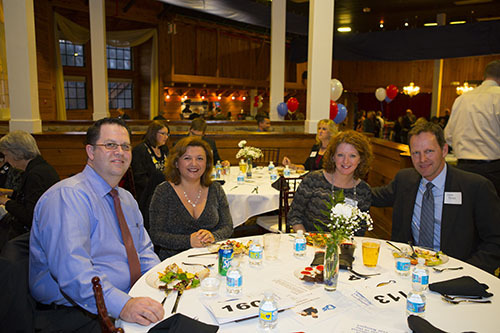 The 10th annual awards banquet will be held at Prestonwood Country Club at 300 Prestonwood Country Club in Cary on February 20, 2016. Event registration will be from 5:00 to 6:00 p.m. Dinner and a live auction will be held from 6:00 to 7:30 p.m. 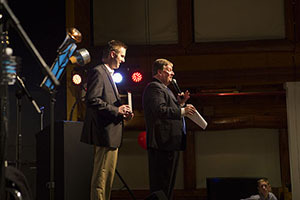 The live auction will be conducted by professional auctioneer and retired Deputy David Taylor. 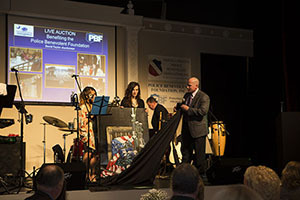 Funds raised through the auction go to support the Police Benevolent Foundation and are used to replace the salaries of fallen officers, provide disaster relief for law enforcement officers displaced through natural disasters, provide scholarships for the children of law enforcement officers, and conduct the Behind the Badge seminar series to prevent officer suicides. The awards banquet will be from 7:30 to 9:00 p.m. Dr. Bill Lewinski will serve as the Keynote Speaker for this year's event. He is one of the world’s leading behavioral scientists whose work has focused primarily on the intensive study of the human dynamics involved in high stress, life-threatening encounters.Live music be provided by local band favorite Baileys Comet during dinner and following the awards banquet. For further information please contact Randy Byrd at 1-800-233-3506 ext. 311 or by email at rbyrd@sspba.org. To obtain a brochure and order tickets for the event click here. The form for ordering tickets is part of the brochure and a check or money order can be mailed with the form. To order tickets by credit card click here.